National law firm Excello Law has agreed a strategic alliance with Australian new-model law firm Nexus Law Group, building upon a similar agreement that the firm established with US-based firm Rimon Law in 2015. The new partnership brings together over 200 lawyers, with a core focus on providing commercial law services, and will see all three firms share expertise and strategic capability to better service clients globally. 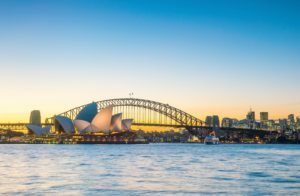 For Excello Law, the new partnership will expand its international support for UK clients to Australia and the South-East Asian markets, while positioning the firm as the UK expert and resource for Nexus and Rimon’s clients. Excello Law also has an office in Sweden. This partnership underpins the firm’s strategy of creating an international network of legal services to connect clients to expert legal counsel, no matter the jurisdiction.